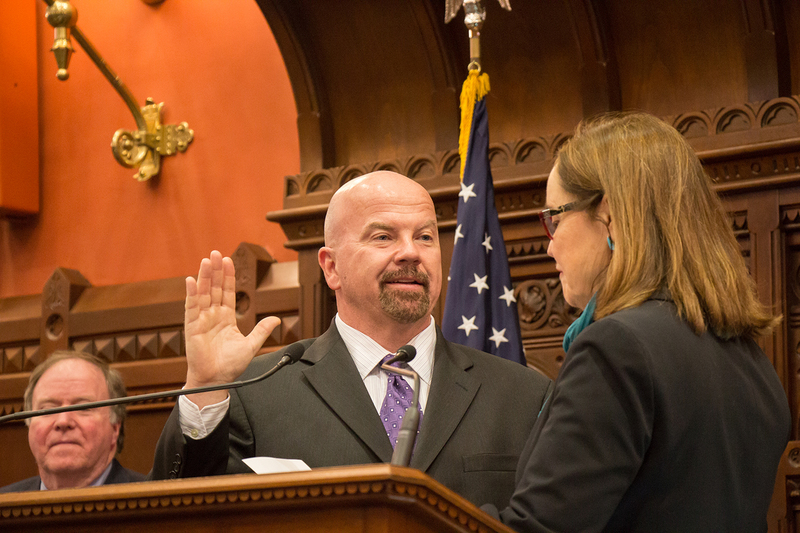 Joe Gresko of Stratford, who won a special election to succeed state Rep. Terry Backer, his longtime friend and mentor who died of cancer in December, was sworn into office Feb. 3, the first day of the 2016 legislative session. Rep. Gresko, who worked as Backer’s press aide for five years, will serve the remainder of Backer’s two-year term. He has been appointed to three major committees in the General Assembly: Environment, Judiciary and Energy and Technology. Constituents who want to contact their new representative may call his Capitol office at (860) 240-8585 or (800) 842-8267.